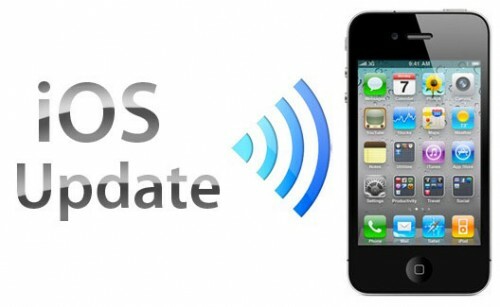 Apple pushed out an iOS update over the last week. It starts with a little red dot hovering over the settings icon on the home screen and then escalates to constant messages prompting us to give permission for the phone to make the switch. We may not want to change, we may even revile it, but eventually we acquiesce and allow the change to happen. What happens next is a lot like life. Hundreds, if not thousands, of hours went into the planning for improvements, bug fixes, and usability design elements. Things were tried and tested, all the different permutations and apps run through the ringer to make sure that life was going to be better on the other side. Sound familiar? An iOS update is reminiscent of a major family move, a big job promotion, or significant life change. However, changes - no matter how well thought out and planned - always bring unintended consequences. In the case of this iOS update, Facebook Pages has become glitchy. When scrolling down the screen, it seems to flip back to the top, over and over again. Annoying, right? Something similar happened with a different app the last time the operating system was updated. What happens when best laid plans result in a new problem? We react, improvise, and adapt. In the case of Apple, I imagine that teams of techno geeks are frantically trying to design a solution to this, and probably other, negative results of a significant iOS update. This one felt less like a bug fix update and more like a let's play with the user experience update. Things look and feel different. Functionality that previously felt intuitive, now feels hidden. In the end, the changes are most certainly meant to improve the overall experience, but in the early days, it feels like a big fat mistake. How often have you moved into a new community or job and felt similarly? How often have you wanted to press the reset button and go back to the way things were before? The Apple geeks will fix things over the coming days and by the time we think about the glitch we were experiencing, everything will be seamless and life will have moved on. Quickly we'll forget that a major change has occurred and we will have figured everything out to the point that we won't remember what life was like before.